2012 marked the 4th year of the Summer of Riesling. Paul Grieco of Terroir Wine Bar in New York City (there are multiple locations) kicked off the annual celebration in 2009 by pouring only Riesling wine for its white wine by the glass selection. That’s totally balsy and Paul gets total respect for that move! Like most wine geeks, I am in love with Riesling, and when I serve it to people and don’t tell them what it is, they love it too. When I tell them, they turn up their little noses. Seriously, folks of my generation and younger (and a little older), you are too young to remember the run on Blue Nun and other Liebfraumilch that heated up the international wine scene in the 1960’s and 1970’s. Give Riesling a try! Paul Grieco has taken it upon himself to spread the gospel of Riesling. His dedication and results are impressive. While a pesky trip to the emergency room this summer prevented me from participating in the Summer of Riesling 2012 twitterfest, I was lucky enough to meet Mr. Grieco later in the summer at Outside Lands in San Francisco where his stash of Riesling was sold out hours before the music festival ended. It’s hard to believe that in 4 short summers, Mr. Grieco has gone from serving Riesling as his sole white wine selection to traversing the globe to spread the message about Riesling – this year embarking on a tour of Australia and New Zealand in the other summer. The only thing that I can add to Mr. Grieco’s message is that peeps should enjoy Riesling all year long. We should declare 2013, the year of Riesling! Riesling is what wine geeks like to call a “noble variety”. This means that it is one of the original grape varieties (and the only one that didn’t originate in France as Riesling’s homebase is Germany) and it is grown and vinified around the globe. Riesling is also, in my humble opinion, a wine that has been created to drink with food. Yet, it is also good on it’s own. 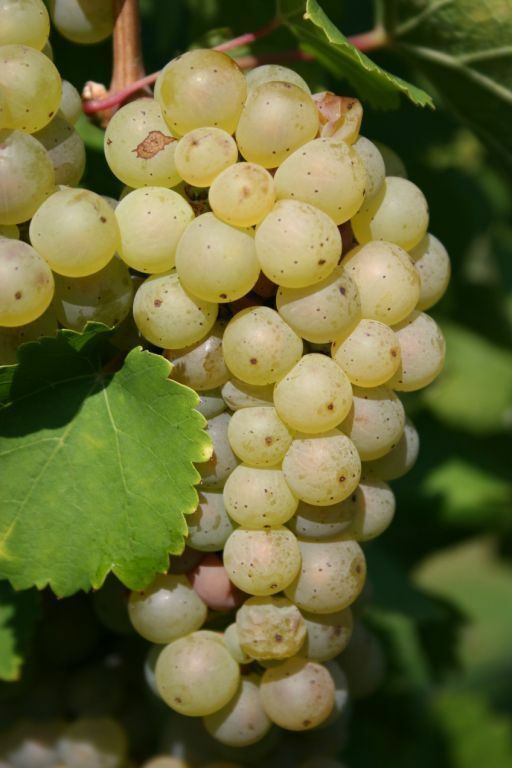 Riesling is a high acid wine that comes in a wide variety of sweetness levels, from bone dry to lusciously sweet, and it ages pretty well too. Given this, Riesling is an almost perfect wine to pair with food. The only thing that it really doesn’t work well with are beef and lamb but it’s ethereal qualities with pork more than make up for it. Additionally, it works with fish, shellfish, veal, duck, chicken and almost everything else. And, quality Riesling from across the globe is also generally found at great price points. So, not only is the wine great, it’s often a bargain as well. As part of the SOR2012 Twitterfest, I was sent three bottles of Riesling – one from each major Riesling producing region of Europe – Germany, Austria and Alsace, which is currently in France but historically bounced between Germany and France. I have since had the opportunity to try each of them (along with a number of other Rieslings I sucked up this summer – so I guess in a way I created my own SOR2012) and they were fantastic. But, my clear favorite was the Lorimer 2011 Riesling from Kamptal Austria. It had lovely high acidity but not biting, a light body and intense fruit flavor that reminded me of the perfect stick of Tutti Frutti gum. A mixture of orange, lemon and lime and notes of stone fruit (here, peach versus cherry). The Gustave Lorentz 2009 Reserve Riesling typified the Alsatian style of Riesling, which is to say that it’s bone dry and reserved, not shy, just reserved. It has the lovely Riesling notes of lime, peach and white flowers, buck it lacked the juiciness of the Lorimer Riesling that I loved. The final bottle was a very special bottle of Riesling from the Rheingau in Germany where there are swaths of Riesling vineyards planted. The 2010 Schloss Schonborn Erstes Gewachs Riesling is at the top of the German wine classification food chain, and given how the Germans like order, that isn’t easy. This wine is from a singe vineyard that is harvested when the grapes reach a certain ripeness level and is dry (the sugar level is tightly controlled). This wine deserved to reach it’s zenith – it’s got beautiful acidity, lightness in body and stunning notes of lime, peach, white flower and minerality. In addition to the wonderful growing regions of Europe, some amazing Rieslings also come out of Australia and the United States. From Australia, Jacob’s Creek offers quite the value with many smaller boutique wineries offering examples. In the United States, I like the Rieslings coming out of Oregon where acres are being turned over to Riesling plantings. Last week I attended the Pinot in the City tasting where I had a beautiful Riesling by a small winery named Trisaetum. I am also a big fan of the Rieslings coming out of the north in Washington State with selections from Chateau St. Michelle (I love the Eroica) and Pacific Rim. Other areas in the United States producing Riesling are the Finger Lakes in New York and California. My only caution in California is make sure that the wines are from a cool growing region, like parts of Sonoma, as Riesling doesn’t enjoy warm weather and it strips the wine of it’s characteristic refreshing acidity and clean fruit notes.